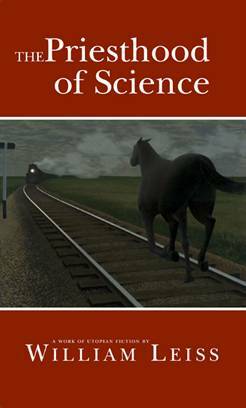 The latest in the Herasaga trilogy, discount Priesthood of Science is published by University of Ottawa Press. Hera and her sisters are now sealed off from the rest of the world in the vicinity of Yucca Mountain in southern Nevada. Hera is still tormented by her parents’ decision to genetically modify the brains of their twelve daughters—and by her own agreement to allow a similar procedure to be used on a much larger group of human embryos. In a series of dialogues with a molecular biologist recruited for their private university, Hera and Gaia debate the changing relationship between science and society from the time of Lavoisier in the eighteenth century to the terrible legacy of atomic physics in the twentieth. Two dialogues between Hera and Jacob Hofer, a Hutterite minister, deal with the issue of nihilism in religion and science. Meanwhile, the group of engineered embryos has become one thousand young people just turning eighteen, and their gender politics are threatening to ruin Hera’s new beginning for human society. Like priests, scientists are liable to be misled by the purity of their motives into downplaying the risks inherent in their creations. This entry was posted in Books, Herasaga and tagged book, herasaga. Bookmark the permalink.